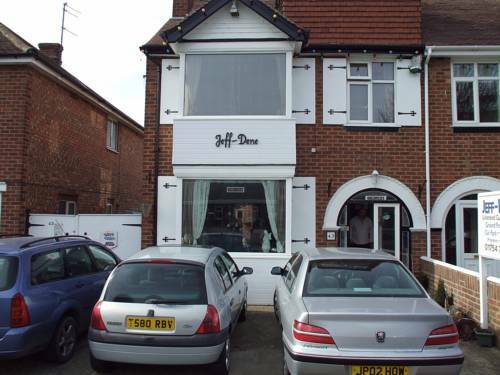 Jeff-Dene Guest House is a family-run establishment in Skegness offering nicely decorated bedrooms and free Wi-Fi. Jeff-Dene is situated close to all amenities and attractions in Skegness, just a short drive from the picturesque Lincolnshire Wolds. All rooms are unique and have a TV and tea/coffee making facilities. Accessible rooms are also available, with free battery-charging for mobility scooters. There is a TV lounge and a bar on site. Wi-Fi is free to all guests. The NORTH SHORE in all its splendour...has pride in being the closest hotel in Skegness to the sea. With its unrivalled position, enjoying clear views of North Shore beach, the sea beyond and its own challenging golf course, the Georgian building of the North Shore Hotel is the ideal venue for your Wedding, Conference, Private Function, Golf Day or indeed your Golfing Holiday. Lincs Golf School; Realise your golfing potential with our highly successful and popular coach, John Cornelius. This Championship Links has been in existence since 1895 as a members owned family club and proud of it. It is a traditional links out and back layout on quite a narrow site adjacent to the Gibraltar Point nature reserve. Adaptation to the modern game has not spoiled the gloriously old fashioned feel to the golf with tight undulating and hogsback fairways and a number of blind or semi-blind shots, seventy five bunkers and the occasional impenetrable buckthorn. There are glorious views over the nature reserve, the Wash and to the distant Norfolk coastline from various holes.